The Second Principal Meridian runs north/south through the middle of the entire state of Indiana, forming an initial point when it intersects a baseline at the southern end. This was the point from which all of the state of Indiana was surveyed, with the exception of a sliver along the southeast side. The Second Principal Meridian followed geographically and historically the First Principal Meridian marking the western edge of the State of Ohio. 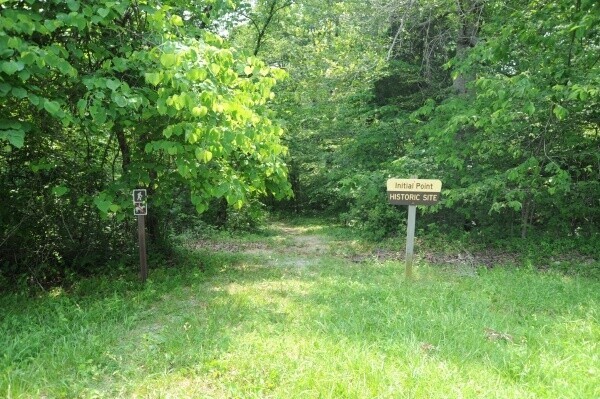 The Initial Point is in the woods near the town of Paoli, Indiana. Attempts were made in the 1970s to turn the site into a commemorative park, complete with a miniature outdoor model of Indiana, but due to vandalism at the site and lack of funds the park was never established. The site remains accessible to the public, down a windy path, next to a stream bed. 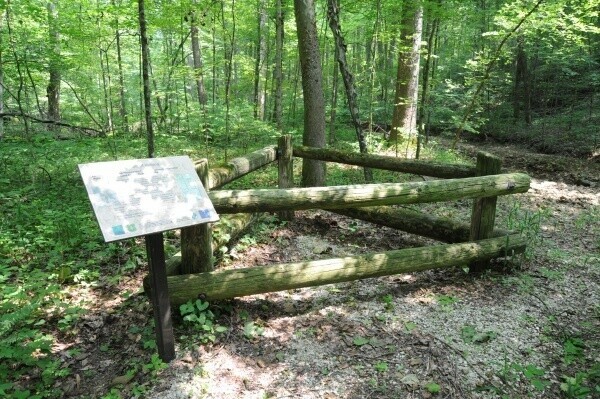 The Initial Point is behind a triangular log fence next to an interpretive plaque. The fence surrounds a ten inch by six inch stone, buried flush with the ground sometime between 1879 and 1886. 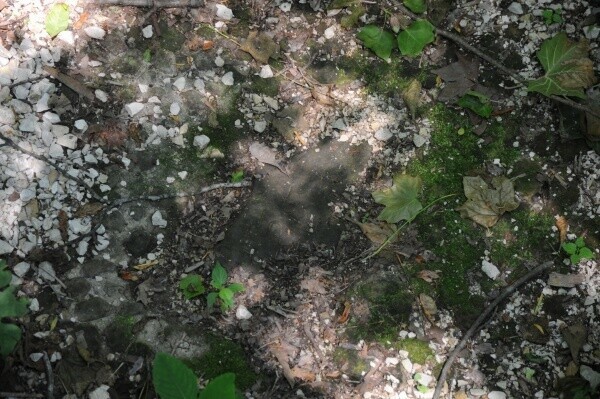 It is engraved with S31, referring to “Section 31, Township 1 North, Range 1 East,” the legal description of the site as determined by the Public Lands Survey. A large descriptive monument was dedicated at the site in 1973, but due to vandalism in 1977, it was relocated to a more secure location in front of the courthouse in Paoli, the nearest town, seven miles north. The text on the monument describes the site as if it were still at the original location, leading to confusion for some, perhaps.